Understanding natural and anthropogenic climate and environmental change, particularly from the perspective of atmospheric composition and chemistry. My research interests lie in revealing the diverse information contained in glacier snow and ice. This includes measuring atmospheric trace gases trapped in air bubbles in the ice, building past environmental histories from impurities contained in the ice itself, and exploring past atmospheric circulation variability through water stable-isotope analysis and records of snow accumulation. 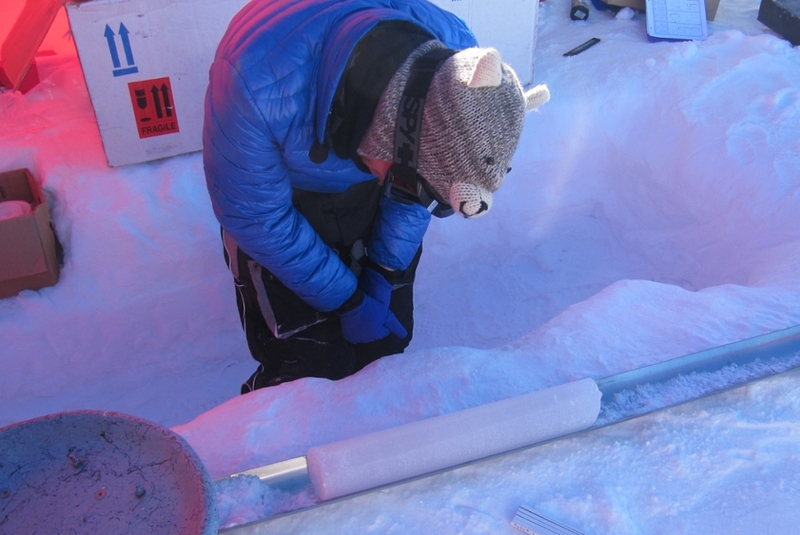 My primary research interest is in reconstructing atmospheric histories of Carbon Monoxide from ice cores. Carbon Monoxide is an important atmospheric trace gas that affects the oxidative capacity of the atmosphere and contributes indirectly to anthropogenic radiative forcing. Carbon monoxide stable isotopes can also serve as a tracer for variations in biomass burning, particularly in the preindustrial atmosphere. A good understanding of the past variations in CO mole fractions and isotopic composition can help improve the skill of chemical transport models and constrain biomass burning changes. 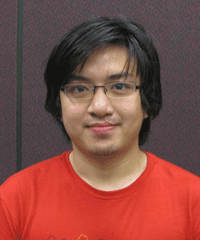 My broad research interests involve understanding natural climate variability and how climate has changed on our planet since the dawn of industrialization. 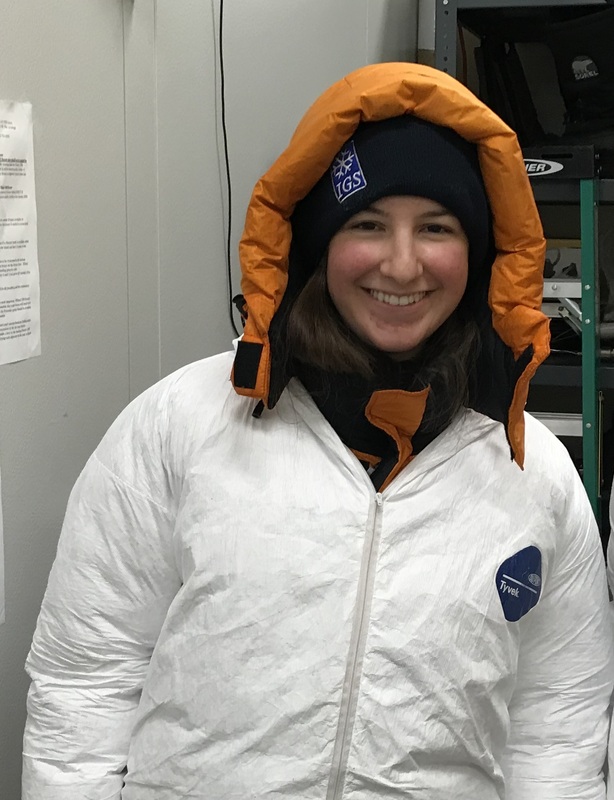 I am also interested in developing new analytical measurements of properties within ice cores that will better constrain the change our planet has gone through in the last several thousand years. My PhD project aims to quantify the amount of 14C of CO2, CO, and CH4 that comes to be present in glacial ice. It has been discovered that the 14C in glacial ice is a result of two separate mechanisms: (1) trapping of atmospheric air that diffuses through the porous firn column at the top of an ice sheet, and (2) direct production by cosmic rays within the ice lattice. I am attempting to characterize the relative quantities of 14C from each of these two mechanisms through the firn column and shallow ice at Summit, Greenland. Understanding the relative abundance and distribution of 14C as it transitions into ice will unlock 14C as a new paleoclimate proxy, allowing us to answer more questions about how climate has changed in the past relative to today. 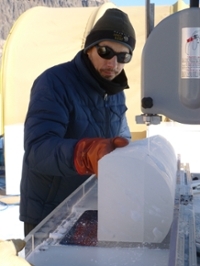 The primary emphasis of my research is to use paleoatmospheric CH4 isotopes from ice cores to constrain the sources and sinks of CH4 in the past. Understanding how the natural CH4 budget has changed in response to past climate change can provide us with historical constraints on how the Earth's current CH4 sources will change with respect to ongoing anthropogenic global warming. Among the existing CH4 isotopes the bulk of my research is focused is on obtaining paleorecords of 14CH4 isotopes. Over the last few years, our collaborative research group has worked to understand the ice stratigraphy and gas age of surface ice on Taylor Glacier, Antarctica where old ice can be found outcropping on the surface. Here, we have identified a transect spanning from ~20-8ka BP where we can obtain virtually unlimited easily accessible ice samples - making this an ideal site to obtain paleorecords of atmospheric 14CH4 and possibly other ultra-trace proxies that are not available from regular deep ice cores.